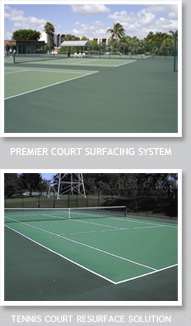 At Advantage Sport Coatings, we pride ourselves on offering the finest materials available for tennis court surfacing, construction and repair. Front court to back court, baseline to net line, we deliver high-quality tennis court products, outstanding service and exceptional support. Plus a former tennis pro on staff who understands the game from the ground up. The result? Advantage you. 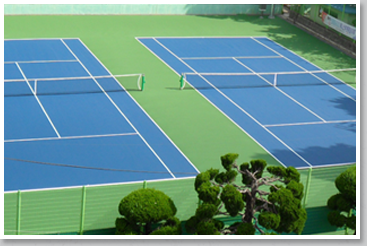 100% acrylic-textured surfacing ensures that courts maintain a consistent speed of play, certified by International Tennis Federation. Nonslip texture offers superior traction. Low-sheen, glare-reduced finish helps you pick up the ball more quickly. 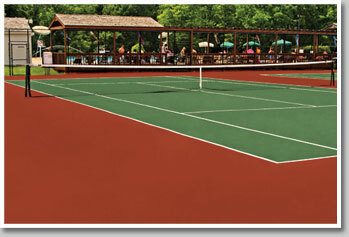 High-pigment, fade-resistant colors keep courts vibrant year after year. All-weather surface stays resilient. 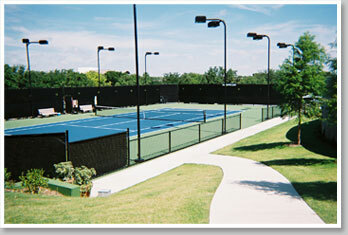 Diverse color palette helps courts stand out, or blend in with existing surroundings. 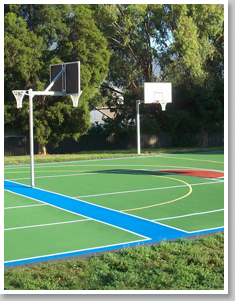 Create your perfect court color combination here. 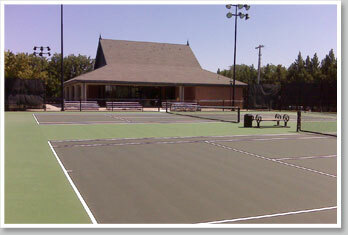 Decades of surface coatings knowledge, long-standing, proven track record of success and a passion for tennis unmatched in the industry. Customized approach, technical support and commitment to satisfying customer needs. Long-lasting partnerships with contractors, architects, owners and athletic directors. Advantage is a smash across the world. From homeowners to design professionals, people are turning to us to create the perfect court, the perfect surface and the perfect match. "Consistency and durability. That's what we always get with our Advantage surface. 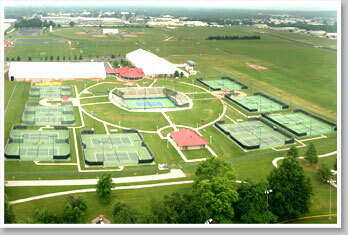 The speed of play is perfect for our players and the courts look great year after year." 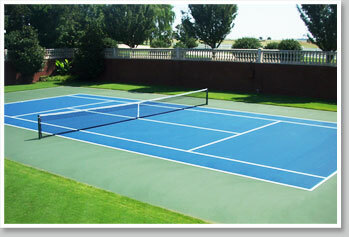 "We added tennis court surfacing to diversify our product offerings. The folks at Advantage were great. They answered all my questions and even trained my guys. Their dedication to service has made me a customer for life." "Sure, the Advantage products offer exceptional quality. But even better, they are backed by a commitment to customer support that surpasses anything I have seen in my 31 years of tennis court surfacing." 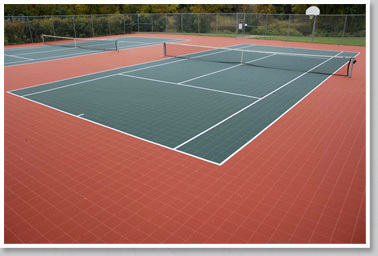 "We've used Advantage products for years on various outdoor tennis and basketball court projects and the results never disappoint. It's a great product that consistently performs. Which is exactly what our clients demand." "In Australia we have tough weather conditions, We searched the globe to find a court surface that could stand up to these conditions. Advantage fits the bill. 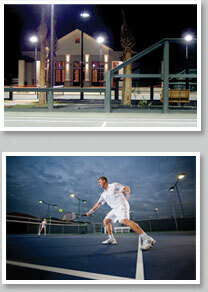 Their products perform brilliantly for all our sport projects and they look great year after year." Whether rejuvenating an existing court or creating a new one from the ground up, you want the best products at the best value. Advantage brings it all to the surface. In the game, consistency wins. On the court surface? Ditto. Levels the surface for a smooth, consistent court. Provides added level of comfort and reduces muscle fatigue. Available in multiple levels. A textured finish coat that can be customized to match desired speed of play. Crisp and highly reflective textured lines create the finishing touch. You need Flash Player to use the Court color-selector. Download the latest version of Flash. Note: Colors seen on your computer screen and this website are not 100% accurate. Colors appear different when viewed on a computer monitor, as monitor quality and calibration vary. To view actual colors contact your Advantage representative today. Nothing upsets the balance of a great match more than an irregular surface. But not to worry. Whether you're looking for a resurface solution or a proven crack repair option, our fabric overlay and crack repair products deliver. Guaranteed, with warranties to prove it. VersaCourt. Easy on the knees. Less joint and lower-back stress. Easy installation. Rich colors and heat-resistant design. Welcome to VersaCourt. These cutting-edge tiles feature multidirectional flex technology, super-grip texture, low maintenance and a 15-year warranty – for starters. 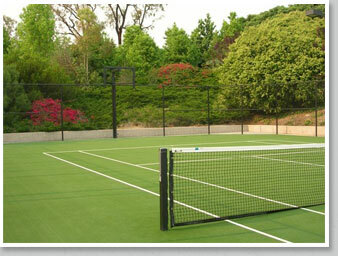 Synthetic court surfaces are an excellent alternative to traditionally surfaced tennis courts. 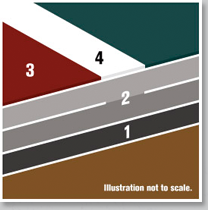 They can be installed over a variety of surfaces, including asphalt, concrete and clay. Grand Prix Synthetic Surfaces offer superior traction, high comfort and the playing characteristics of a championship court. Not to mention consistent ball speed, minimum maintenance, anti-glare and UV stabilization. Light beats dark. 6-0, 6-0. 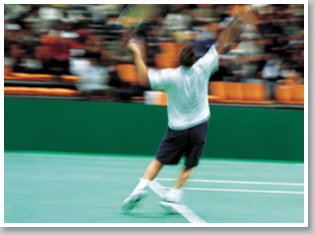 The first thing you learn in tennis is to keep your eye on the ball – an impossible task without light. That's where Advantage Court Lighting comes in. Now courts aren't only lit, they're lit more efficiently, with significantly longer-lasting bulb life and better overall lighting than standard fixtures. Perfect playability. Unmatched durability. Color variety. Contact us if you're ready to bring your court – and game – to a higher level. If you are interested in becoming an authorized Advantage installer, please contact us. © 2010 Advantage Sport Coatings. All rights reserved.